Adams Mobile Air is the premier mobile HVA/C company for crane air conditioning service, repair, and installation in North Texas. Adams Mobile Air is trusted to perform on-site mobile a/c warranty repairs for the top crane manufacturers and dealers in the industry. 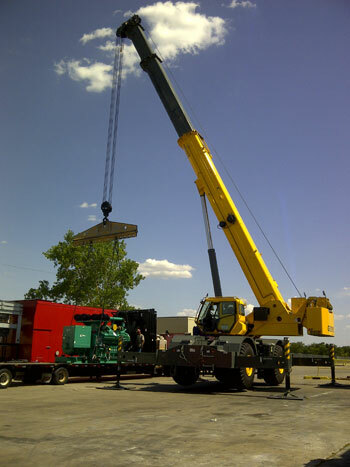 Adams Mobile Air has partnered with various crane and lift professionals to service, repair, and install HVA/C equipment to maintain climate control functionality to the cabs of these exclusive and highly valuable machines which are instrumental in the progression of lucrative commercial projects. In this considerable stringent industry, Adams Mobile Air has the qualifications and trusted referrals to responsibly work with this type of highly specialized equipment and can service and repair, design and install complete or partial heating, air conditioning, and ventilation units and systems for the crane and lift in this highly regulated market. Crane and boom truck models we service include Manitowoc, Grove, Terex, LinkBelt, National, Manitex, Sany, Liebherr, etc. Adams Mobile Air has also participated in a proud partnership with Zachary Crane Leasing to contribute in part to the prosperity of many major interstate highway and mix master projects of greater DFW.